Amadeus has launched a new campaign centered on the future of travel. The campaign—which is scheduled to continue for three years—examines how we can shape the future of travel, and what Amadeus is doing about it. “We wanted to link our brand positioning to the purpose of Amadeus—why we exist, what we are here to do,” said Anna Kofoed, Associate Director Global Brand Engagement, Amadeus IT Group SA. Amadeus started as a GDS, before adding e-commerce and Airline IT services. The company recently acquired the UFIS airport technology solutions firm, as well as entering a multi-year partnership with online travel company Orbitz. The basis of the future of travel campaign began to develop as early as 2012. According to Kofoed, Amadeus interviewed stakeholders, customers, investors and industry bodies, while conducting focus groups with its executive committee and employees. The “future of travel” theme sprouted from that. 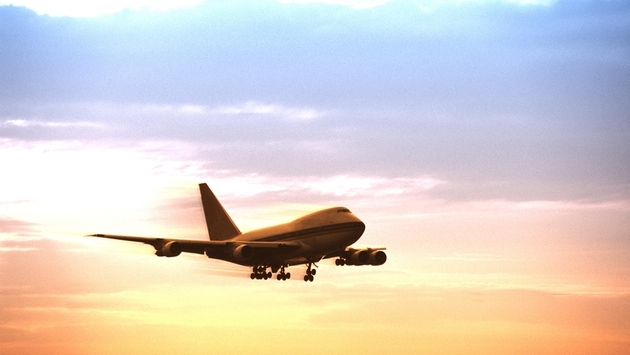 Then, in 2013, Amadeus held workshops for its employees in all of the 195 worldwide markets it serves. The future of travel campaign focuses on three current trends: personalization, connectivity and sustainability. For example, “to understand and deliver the unique services that travelers are looking for,” Amadeus has a portal on Amadeus.net to learn about travelers’ behavior and requirements so that it can create solutions to better address their needs. “Connectivity” is about linking different modes of transportation to create a fluid booking experience for travelers. For example, Kofoed, who lives in Spain, has to buy a plane ticket and a train ticket on separate platforms to make a trip to her home country of Denmark. Ideally, a traveler should be able to do it all on one platform. There has also been a greater desire around the world to create economic, social and environment sustainability programs. Amadeus has launched a joint program with UNICEF that allows travelers to make small donations to shape a better future for some of the world’s most vulnerable and excluded children. Amadeus’ launch customer was Iberia.com at the end of 2013. As technology grows, science fiction begins to evolve into reality. This is not only fascinating, but it’s also very exciting for the travel industry. Kofoed even referenced the Tom Cruise film “Minority Report,” which featured billboards that would identify people walking on the street through facial recognition technology and instantly send targeted advertising to them. Kofoed noted that she goes on blogs to find her next travel destination these days. She managed to find a unique locals’ restaurant in Crete, Greece, last year, but added that it takes time to discover these types of experiences. Having a virtual personal assistant, on the other hand, would make the process much easier and quicker. “I am very excited about the future of travel and the unique experiences I will be able to achieve,” Kofoed said. But why the focus on travelers and consumers? Why doesn’t the campaign simply focus on trends and information provided by experts and industry leaders? Well, as Kofoed noted, leaders and experts can identify trends, but talking to travelers can give companies up-to-the-minute information. Amadeus monitors its Traveler Trend Observatory, a forum to receive feedback from “the next generation” (18-24 years old), “active seniors,” (50 years and older) and corporate citizens. In addition, as new technology is implemented, consumers’ feedback is vital to ensuring everything runs smoothly. The boom of social media has provided a forum for consumer feedback, as well as a networking tool for the travel industry, and it appears as if it will come along for the ride in the future. “Social media is increasingly becoming a key tool in the travel industry,” Kofoed said. “From building travel plans based on user generated content and with friends in your social network to deciding who you want to sit next to on the plane and telling people about your trip, the possibilities are endless. And, as Amadeus’ future of travel campaign will monitor, there appears to be a lot to talk about in each specific travel industry. As Kofoed noted, more options to plan and purchase air travel will become available. Value and experience will be highlighted in platforms’ booking parameters. For airports, the development of technology will make it easier to identify who is arriving, potentially making it quicker to pass through security. More personalized offers for travelers will likely begin to emerge, as well. Business travelers are also starting to combine business trips with leisure experiences. Heck, there’s even a new term for it: “Bleisure.” The advancement of technology figures to only fuel this trend. Other things to look for: Online travel agencies (OTAs) such as Orbitz may feature more tailor-made searches and offers, car sharing may increase, hotels may start to develop advanced customer management solutions, and railways may begin to link up with airlines and bus companies. As the travel industry evolves—guided by new technologies and customer feedback—the possibilities in travel become more and more mind-blowing. To learn more about Amadeus’ future of travel campaign, go to www.shapethefutureoftravel.com. New travel technology you would like to share? Email me at rrudnansky@travalliance.com.